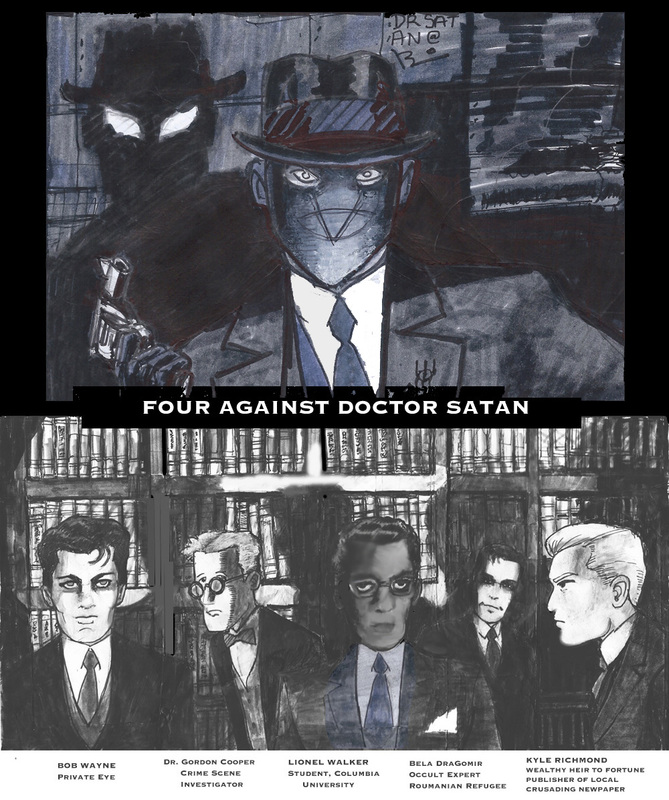 The five leads of the Mask of Doctor Satan. Total story length in text – 50 pages. Released in three parts, with cliffhangers. The first part will be soon. Very soon… I have finished the first twenty pages, which not needs final checks and edits. I am very methodical. I have an excellent idea of who these men are. But as they say, no spoilers. These are the five protagonists. I like an ensemble piece. Set in 1938.